MARC STEINER: Welcome back. I’m Marc Steiner. We’re going to continue our conversation on the furlough of government workers and the government shutdown that’s taking place with Bill Curry, who worked in the Clinton White House in 1994, which was the biggest shutdown that we had in this country. And Bill, let’s just pick up. Two issues I want to kind of wrestle with here in the short time that we have. A is the political fallout, what this means for 2019 and 2020 given the shutdown, what Trump is saying, what the Democrats are saying in response, and where this might lead them politically? I mean, you saw this election we just had, this blue wave, many younger people elected, many people to the left elected, People of Color elected as never before on the Democratic side. So how does that fit into this shutdown and what the politics of this might say, one might portend? BILL CURRY: Well, I think that first of all, that there’s a tendency sometimes to underestimate our base in terms of what we’re willing to talk about. And again, these trade, immigration issues, every Democratic president nominated in my adult lifetime has supported untrammeled free trade agreements. Most of our base is against it. The debate within our party has only begun in the last couple of years, and we’re still not at a point where we’re capable of engaging. So this international trade debate and the international immigration debate, there’s been too much silence. The good news, I suppose, about this shutdown is it’s taking the two biggest leaders in our party, Schumer and Pelosi, and forcing them to engage and to begin to make arguments, like the one we talked about earlier, that begin to tell people the real story of border security and what it means. And so, I think Democrats – this is my constant message Democrats, is that policy precedes message. First you figure out what you believe and then how to tell people about it. We need to be better at making a brief. We need to be better at arguing the facts. The good news is the public opinion on almost all these great divides, on almost all these issues, is on our side already. We don’t have to create a market for it, we have to address it and we have to put a blueprint on the table that shows people we can fix those problems. And in immigration, the policies that are being pursued right now are killing this country in world opinion. Every day, Trump or Lindsey Graham or someone like it says, “I want more of those immigrants who come with high tech skills.” Well, guess what. Those people aren’t coming either, because they’re beginning to see this country in a new and darker light. And we need people who are coming over that southern border right now to fulfill vital functions and to bring a vital energy to this country that we desperately need. We need them to come legally, we need to make sure that our borders are enforced. And our borders are much better enforced than the public knows. Someone should get up and tell the public that. Someone should get up and explain some of the real history some of the real facts here. And so, we need to be better at that. And above all, the one thing that happened in the great shutdown in the 90s was that was that Clinton won because Gingrich seemed so much like Trump; babyish, whining, critical, partisan. And the good news is that who’s more likely to look like Trump than Trump? Trump already looks like what we need him to look like. We need not to get in his way. We need to make sure that this is not another example where we get down in the mud with him. We have to stay focused on the issues. The policy is on our side, the public is already on our side. The one thing we have to do is make sure that he doesn’t pull off a of sleight of hand in which he translates building this stupid wall into border security, which is what he’s desperately trying to do now, desperately trying to do. And we have to make sure that people understand we’ve supported border security and we’ve supported a set of other immigration policies that make this country stronger, and deep down you know it. MARC STEINER: And what about the reality of what’s happening to actual people because of the shutdown? 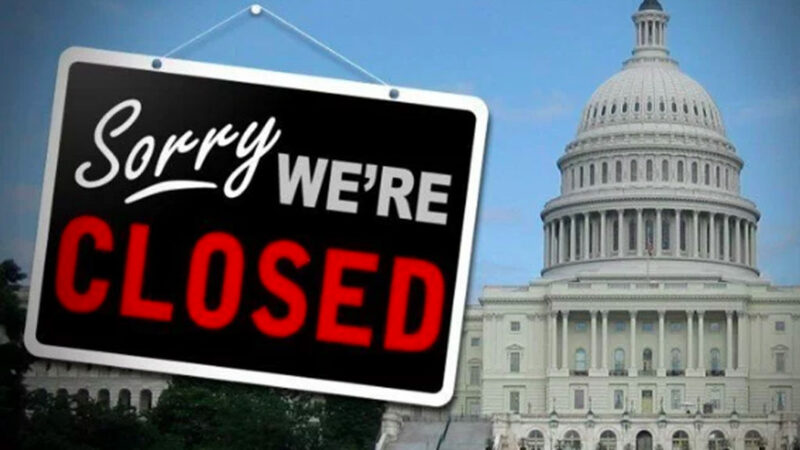 And we know it’s not as pervasive as 94, but there are hundreds of thousands of federal workers who are furloughed that could face all kinds of mortgage difficulties, getting their kids through school, paying for bills and getting bad credit. But there’s also the other countless federal contractors who are also affected by this, and what happens to them and their lives? They’re not going to get paid back. And then, the millions of people in America who are directly affected by the shutdown itself. And I mentioned during the opening the Native Americans in our country who are in dire straits because of this brief shut down, what’s happening, no food. BILL CURRY: First of all, when you think about it, that we of European extraction were the first illegal immigrants. We came, we took this country away from its rightful owners at the time. And that their descendants would be victimized so much by this, the cruel irony of this is overwhelming and deserves a great deal more attention. There are all kinds of aid agencies that we know of, the IRS is shut down, I think the IRS employees care a little more about that than perhaps some other folks, but the people who depend on the revenues that are generated sure are affected. And let me just go back to those contractors for a second. We do more and more public-private partnership, privatization, these have been roads that government at every level been on for a long time. It hasn’t worked out the way its advocates have said it would, but there are more contractors out there than ever. And today, they are just like so many graduates of Trump University. They are like so many creditors of Trump who were defrauded in New York and New Jersey over decades, they are being hammered here for no decent reason. And unlike the federal employees who will probably be paid who knows how long down the road, for having been unjustly locked out by their own employer. The federal government’s doing a lockout on its own employees and thus far getting away with it. A lot of those contractors, if the past is prologue, aren’t ever going to get a dime. In the decades long history of the Trump grift, this is just another very large group of people who did everything right and nothing wrong who are getting stiffed. And we ought to be ashamed, we ought to be ashamed that we would let such a thing happen. MARC STEINER: We’ve been sitting here talking with Bill Curry, a former Clinton staffer who was an advisor to Bill Clinton in his first term. He joins here once again on The Real News to talk about the shutdown. We’ll be covering it intensely as long as it goes on and see what the political fallout is and the human fallout from the shutdown. And Bill, thank you so much for joining us here on The Real News, it’s great to have you with us. Really enjoyed our conversation. BILL CURRY: Great. Same here, Marc. Talk to you again soon, I hope. MARC STEINER: Take care. I hope so as well. And I’m Marc Steiner, here for The Real News Network. Take care.